I've meticulously hand-chosen the very best in quality and value to offer to my clients. I am, admittedly, a stickler for color reproduction perfection, and proud to give my clients only the best in photographic prints. 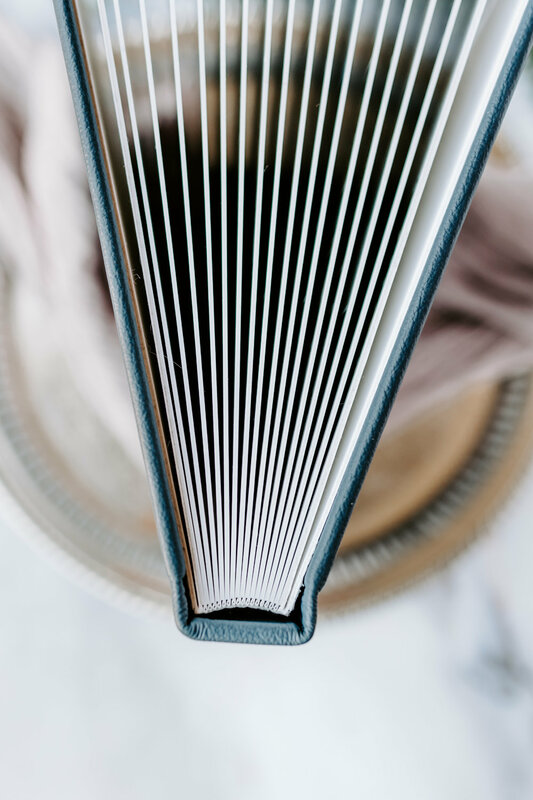 These stunning, flush-mount albums become family heirlooms - they are one of the most beautiful ways to share and display your images with the world. Each album is inspected before final delivery to ensure perfection. I guarantee against manufacturer defects, and I want your album to exceed all expectations the moment you hold it in hand. Albums starting at $800+. The Linen album is the perfect album for those who want a clean, classic yet contemporary look. 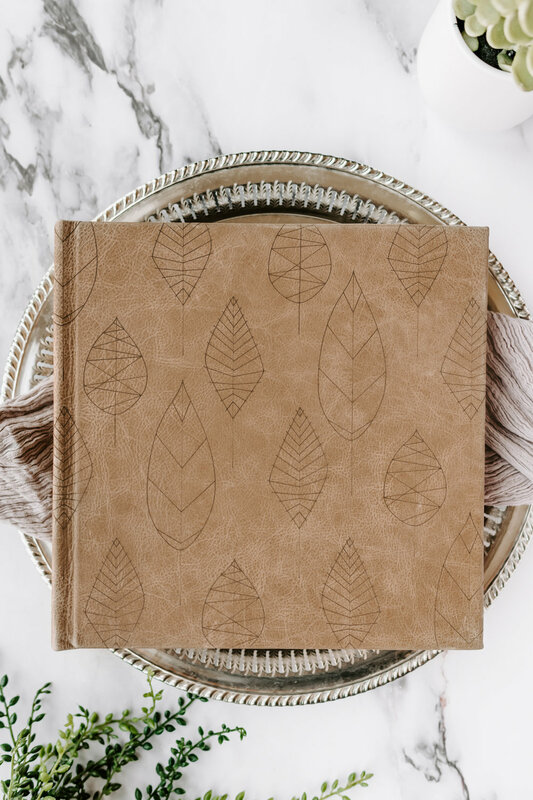 With this book, you can choose from 15 beautiful linen colors that wrap from front to back. Features thick pages with no gutter down the center. Pages printed on your choice of semi gloss or matte professional photo paper. Albums shown in 10x10 size, also available in 8x8 as well. 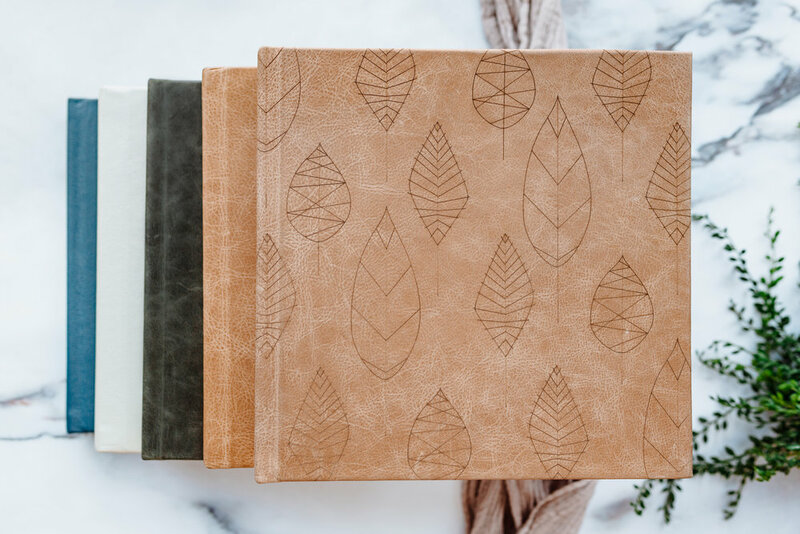 The Leather album is the perfect pick for those who love a more traditional or heirloom look. The leather album comes in 15 vibrant leather hues. Have your name imprinted front and center or leave plain for a simple, classic look. Features thick pages with no gutter down the center. Pages printed on your choice of semi gloss or matte professional photo paper. Albums shown are in a 10x10 and 8x8 size. The Classic Felt press paper has a luxurious feel and smooth finish, producing a high-quality, timeless option for press products. It is an acid free, archival and Forest Stewardship Council certified paper. It is archival, acid free, elemental chlorine free, and made of recycled content. The Semi Gloss Fujicolor Crystal Archive Professional Traditional E-Surface Paper is the most popular paper used. Boasts accurate color, realistic saturation, excellent neutral flesh reproduction, and great intensity and offers brighter blues, cyans, purples, and reds. Standard Archival Value of 100 years in home display; 200 years in dark storage.